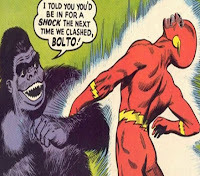 Gorilla Radio blog: Can Radio-Convulsive Therapy Cure John Bolton? Can Radio-Convulsive Therapy Cure John Bolton? A politician becomes a psychopath when he or she acts without calculating the consequences on approval ratings and voter support. The same goes for ministers and their advisers urging military operations abroad which make voters feel unsafe at home. Fear and insecurity are bad for incumbents. Donald Trump and Theresa May both made this miscalculation when they launched their April 14 attack on Syria. In the latest political polls they are now worse off than they were before the attack. The military operation, according to US and UK poll compilations, has reversed the positive trend in their standing with voters since the start of this year. The US polls identify the reason for Trump’s gains with voters this year has been their perception that the president’s economic policies are good for them. 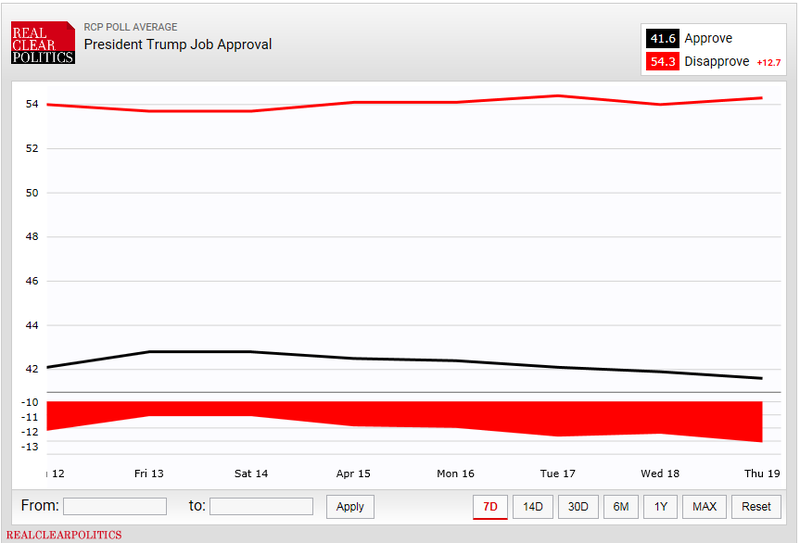 When his job approval is measured on the economy, Trump’s approval rating exceeds disapproval by 48.3% to 46%. Click to see. By contrast, voter approval of Trump’s foreign policy performance is 40.2%, while disapproval is 53.2%. 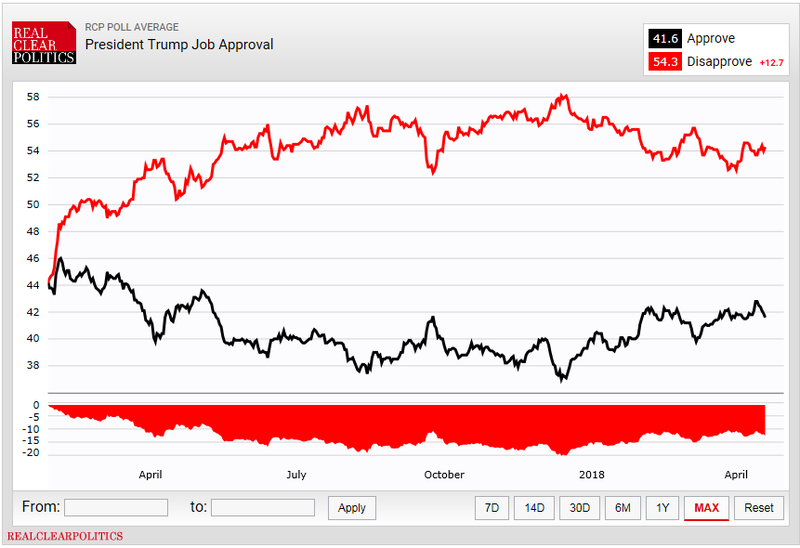 The political calculus is obvious – a positive spread between approval and disapproval on domestic policy of 2%; a negative spread for foreign policy of 13%. A similar picture can be seen from the British opinion polls over the past year. The crossover point, when Prime Minister May began to gain at the expense of her Labor rival Jeremy Corbyn, coincides with the Salisbury event when the Skripals were poisoned on March 4. Summing up the results of the major opinion polls conducted in the UK, this is how May and her advisers interpret what has happened. “The Salisbury poisoning and Labour’s anti-Semitism row may have harmed Jeremy Corbyn’s popularity among the British public, with new YouGov favourability data revealing the Prime Minister is now seen more favourably than the Leader of the Opposition for the first time since the general election. It is also clear from the British polls that the prime minister has drawn all the voter gain from the Skripal affair. The Foreign Secretary Boris Johnson’s conduct attracted more negative sentiment from the electorate than any other minister. 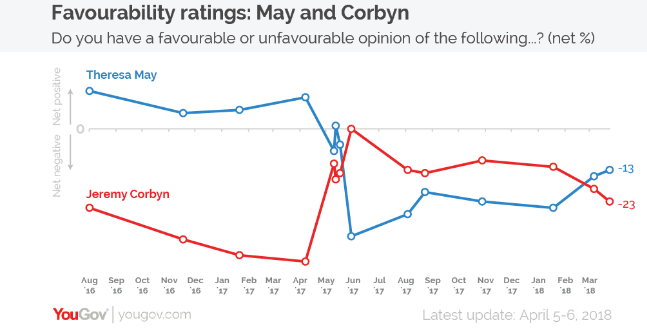 For Johnson the spread between approval and disapproval is now a negative 26; this compares with May’s negative 6, and Corbyn’s negative 27. Johnson’s score is as bad as it was last year; his anti-Russian stance since the Skripal case began has gained him nothing. Compared to May as a candidate leader of the Conservative Party, Johnson has lost. Look closely, however, at voter intention between the Conservative Party and Corbyn’s Labor Party, and these personal differences evaporate. There has been almost no change, statistically speaking, in the spread between the two parties since the start of the year. They are deadlocked at 40-40, with shifts of one or two percentage points in either party’s favour having no statistical significance. The party choice at election time is dominated by domestic policy issues, not foreign policy ones. When she joined Trump in the attack on Syria, May risked much of the gain she had earned from the Skripal case. 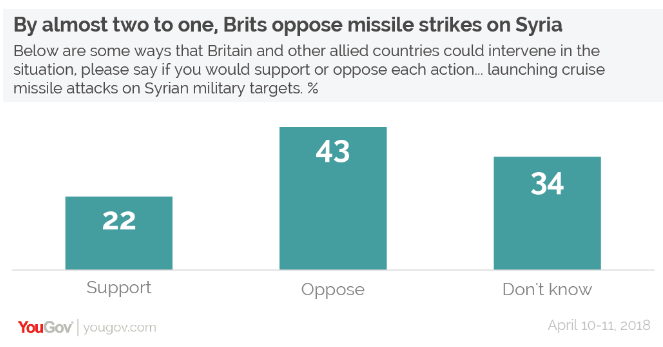 The Syrian attack has been regarded by British voters as adding to their fears and reducing their security. It’s too soon for British voters to be able to count the strategic damage which Trump’s and May’s military operation did to American military power among their allies. Gorilla Radio is broadcast every Thursday by Chris Cook on CFUV 101.9 FM from the University of Victoria. The radio station can be heard here. The Gorilla Radio transcripts are also published by the Pacific Free Press. For Chris Cook’s broadcast archive, click to open.